Scandal overshadows Florida Senate. Who’s next? Five senators removed or tainted by scandal in nine months and this is the biggest question being asked. It's like one of those creature feature flicks by Ridley Scott or John Carpenter. Take a large crew of character actors. Slowly take them out, one by one, in the most gruesome way possible. That's what it feels like watching the Florida Senate these days. The body count started in April when a Miami state senator resigned after uttering a racial slur. Shortly before Halloween, another South Florida senator resigned, this time after acknowledging an affair with a lobbyist. At midnight on Jan. 5, Tampa Bay's most powerful senator, Jack Latvala, officially resigned after a Senate investigation found probable cause that he sexually harassed women. And this week, Sens. Anitere Flores and Oscar Braynon admitted to an affair after being outed by an anonymous website — that has since been taken down. They have vowed to continue in their elected positions, but it's hard not to wonder: How much more can a 40-member chamber withstand? 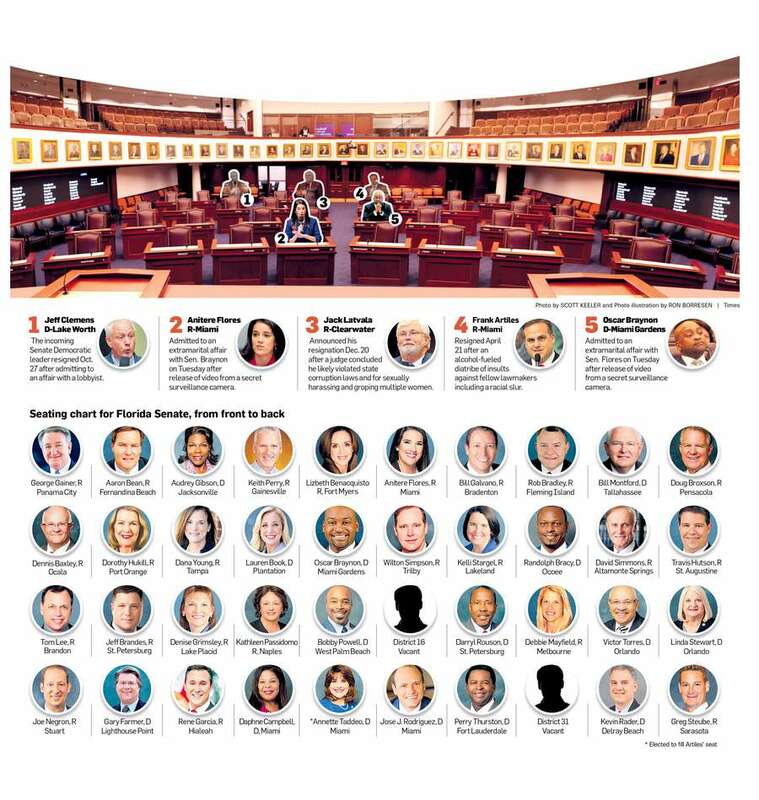 Five senators removed or tainted by scandal in nine months represents 12.5 percent of what should be one of Florida's most august institutions. Is someone, or something, orchestrating a bloodless coup? After all, Latvala was stalked by a private eye who shot photos of him kissing a female lobbyist. And what about that camera found in Braynon's condo building? Was it the same one that shot the grainy footage of Flores entering his apartment? With rumors swirling about even more scandal that has yet to emerge, the question that everyone in the Capitol is asking is, "Who's next?"